Paul Graham of Y Combinator believes founders should not waste their time pitching on Shark Tank… Mark Cuban, Chris Sacca and more responded.What do you think? 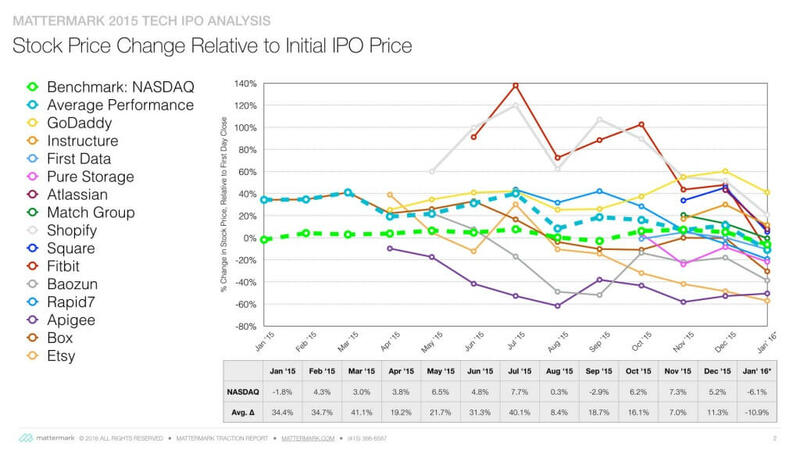 Mattermark went back to the 2015 technology IPO market to dig further into the data. Using adjusted metrics didn’t change the core point that IPOs underperformed their index both last year, and so far in 2016.